-same as our kit #252.450 except there is NO reduction for a clamping sleeve. 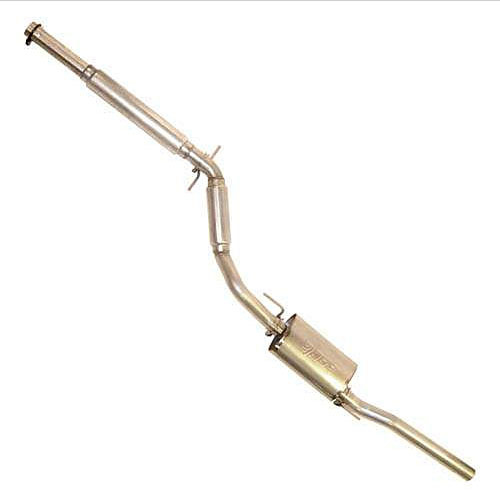 This stainless steel exhaust is designed to be matched to the #253.161 or #253 161R hi-flow cats or be paired with turbo downpipe. A stainless steel Borla muffler and pair of resonators keep you modest and polite with deep and bassy growl when on the boil.